Caktus co-founder and Chief Technology Officer, Colin Copeland, is among an outstanding group of top business leaders to receive the Triangle Business Journal’s 2015 40 Under 40 Leadership Award. The award recognizes individuals for their remarkable contributions to their organizations and to the community. Colin was one of the co-founders of Caktus, started in 2007 around a second-hand Chapel Hill dining room table. Now, Caktus is the nation’s largest custom web and mobile software firm specializing in Django, an open source web framework. Caktus has built over 100 solutions that have reached more than 4 million lives. 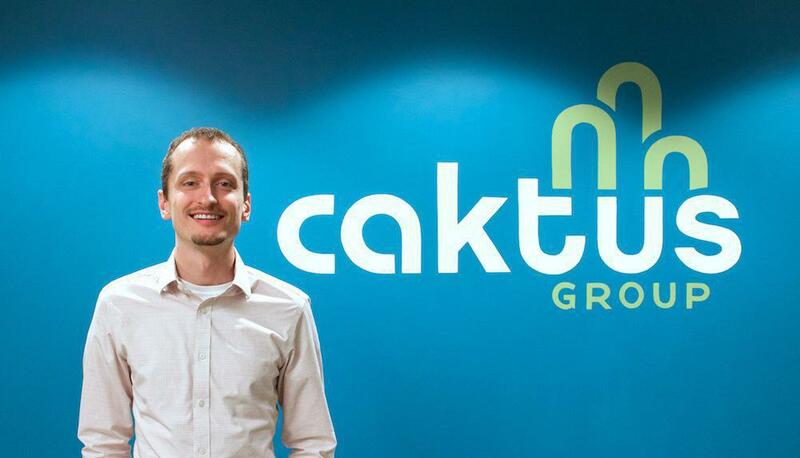 Clutch.io, a research firm, lists Caktus as one of the nation’s top web development firms. As a direct result of Colin’s guidance and vision, Caktus has built technology that not only helps business clients, but has addressed some of the most difficult global challenges facing us today: humanitarian aid for war refugees, HIV/AIDS, and open access to democracy, among others. Colin also served as UNICEF’s community coordinator for RapidSMS, a platform to build technology for developing nations quickly and freely. He used his experience as part of the Django open source community to lay the foundations of a global network of developers working towards improving the world. RapidSMS projects, featured on the BBC, Time Magazine, Fast Company, and others, have reached untold millions in the effort to improve daily lives. Colin, a Durham resident, is passionate about improving his local community. He used his community-building skills and keen technical expertise to found Code for Durham, a volunteer group dedicated to improving civic engagement by building free technology tools. The group includes software developers, designers, civic activists, policy experts, and government employees. Colin, along with key Code for Durham members, successfully lobbied for increased Durham government transparency via a new Open Data Manager position. The group is working on web applications to help with school navigation, homelessness, bike crash locations, and more. In keeping with the spirit of supporting his local Durham community, Colin led the historic restoration of Caktus’ new headquarters in downtown Durham. He ensured renovations included a community meeting space that could support local technology groups such as TriPython, Girl Develop It RDU, and PyLadies RDU. He is also a member of Durham’s Rotary Club. A strong advocate for the power of technology to change lives, Colin led the founding of Caktus’ Astro Code School. Astro provides full-time software development education for adults in an inclusive environment, and will increase access to the Triangle’s growing technology industry. Colin will be honored at the 40 Under 40 Leadership Awards Gala on June 11th at the Cary Prestonwood Country Club. The Triangle Business Journal will also profile him in a special section of their June 12th print edition.